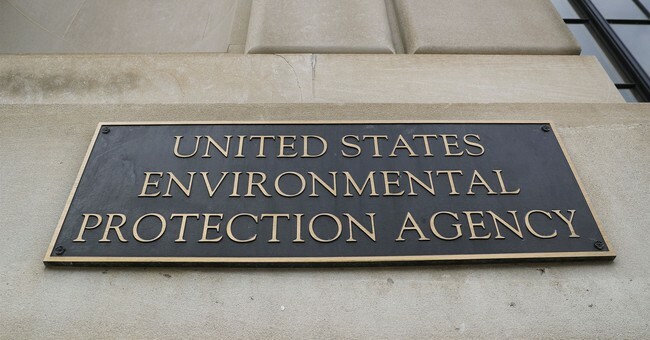 Nearly fifty years ago, President Nixon and a bipartisan coalition of Republicans and Democrats acted to launch the Environmental Protection Agency. The agency’s founding ignited widespread feelings of hope and excitement, as many believed that the EPA would safeguard our precious planet and address growing concerns regarding pollution. Presently, however, the EPA is viewed by many – especially those in conservative circles – as a burdensome threat to economic development. Much of this discontent is rooted in the agency’s sizeable growth under the Obama administration. In its eight years, the Obama EPA published nearly 4,000 new regulations, which added $50 billion to the agency’s annual compliance costs. The agency’s excessive growth came to an abrupt halt following Donald Trump’s election and his administration’s actions to reign in EPA authority. Despite his highly questionable ethics, former Administrator Scott Pruitt spearheaded a number of actions – including crafting replacements for the Clean Power Plan, cost-benefit analysis reform, and regulatory rollbacks – that helped to reverse course on the agency’s tendency to overreach under the Obama administration. Following Pruitt’s recent resignation, there is now an opportunity for a fresh, new chapter of effective leadership at the agency. Andrew Wheeler, former Chief Counsel for the Senate Committee on Environmental Protection on Public Works and lobbyist for Murray Energy, will be tasked with continuing efforts to maintain environmental quality without crippling the economy and expanding the agency’s power. In spite of positive shifts away from overregulation and unnecessary power grabs, the EPA must undergo a culture change to truly optimize its efficiency and potential. This attitude shift begins with toning down the political intensity of the agency. Mr. Wheeler seems to understand this, noting that he would “love to return” to the time when environmental issues were less politicized. Unfortunately, in today’s hyperpartisan political climate, you’re either a supporter of the EPA or you want it abolished-- you’re either concerned about climate change or you believe it’s a hoax – there’s no in between. By working to depoliticize environmental issues, the EPA could unite staunch environmentalists and proponents of limited regulation on business and create an atmosphere where environmental and economic successes are not deemed mutually exclusive. The EPA should also shift its focus from punishing violators, although necessary in some cases, to incentivizing stewardship among individuals and businesses. This strategy would be especially effective given the growing trend of major corporations prioritizing sustainability without government intervention. By placing greater emphasis on policies such as offering tax credits to businesses that reduce their environmental impact, the EPA can improve its reputation and usher in an era of cost-effective, corporate led stewardship. Under its new leadership, the EPA should continue to eliminate regulations that ineffectively address environmental concerns and stifle economic growth. The agency’s recent decision to roll back Obama-era vehicle emissions standards represents a step in the right direction. The standards, which are demanding and unrealistic, fail to account for occurrences such as market trends towards more fuel-efficient vehicles and make the U.S. auto industry less competitive on the global scale. Abolishing these standards will hopefully lead the EPA to pursue more effective measures, such as encouraging investment and innovation in electric vehicles, to promote fuel efficiency. The once widely supported Environmental Protection Agency is undoubtedly in a better place than it was at any point during the Obama administration, but a lot remains to be done to optimize the agency’s impact and efficiency. The recent change in leadership presents the perfect opportunity for an EPA led effort to depoliticize environmental issues, prioritize incentives over punishments, and roll back unnecessary regulations. Pursuing this agenda would allow the EPA to create an atmosphere where environmentalists and business proponents can work together to protect our planet and stimulate our economy.